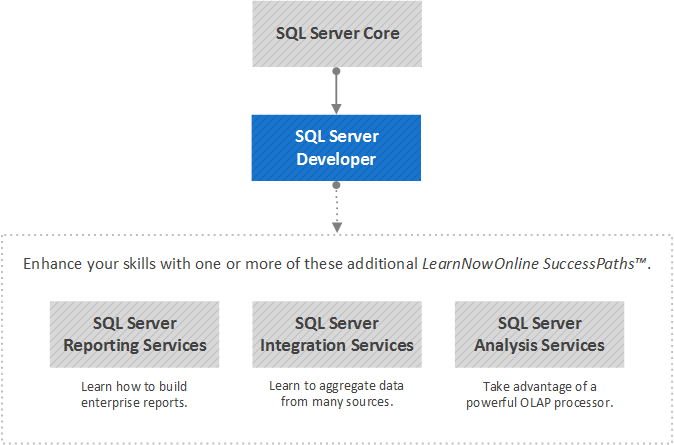 You should have completed our SQL Server Core path or have equivalent experience. This includes a basic familiarity with the concept of relational databases, and Microsoft SQL Server and the primary tools within it, including Management Studio. You should know the fundamentals of Transact-SQL to write basic queries to retrieve and update data, and how to execute scripts using the Query Editor. It is helpful, but not necessary, to have experience with .NET development using Visual Studio 2010 or later.